Bangurei is interested in Ginis’ offer to join the Blood Game, but he won’t do it just to amuse the Owner. Ginis says Bangurei can join as a player with his choice of prizes if he does well. Cubaru and Azarudo are not so keen on playing with him. Cubaru calls him a brainless thug. Bangurei takes offense and zips over to palm his forehead. Naria proposes a test run. Bangurei says he’s fine with an appetizer before the main course, but he isn’t divulging what that is. Plus, he’s eager to mess with someone he’s just met. At the treehouse, Leo just wakes up and the others tell him Yamato and Uncle Mario left early for something very important. 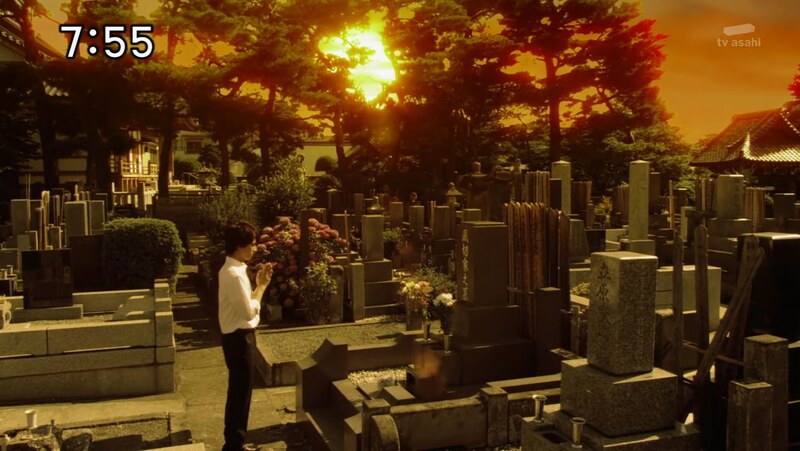 That something is visiting Yamato’s mother’s grave on her death anniversary. But the tails get hard and Amu decides to call Yamato who excuses himself to Uncle Mario and his mom. On the way, Yamato runs into Bangurei who informs him he’s joined the Blood Game. Yamato morphs and unleashes the beast, but Bangurei makes quick work of him, forcing him to immediately demorph. Yamato falls unconscious, allowing Bangurei to touch his head. Later, Yamato wakes up to find… his mother?! Across town, the Zyuman4 are surprised to see people running away from real live ghosts. One of the ghosts is about to sexually assault a woman, so Leo runs over and bodyslams him to the ground, causing him to disintegrate. Tusk remembers that is exactly what happened last episode. The woman explains that the ghost was her dead fiancé. Tusk realizes Bangurei has the ability to revive the dead. Yamato wonders just what is going on as his mother wipes the cuts on his face. He remembers the moment he watched his mother die while in the hospital. She had told him “All life on this planet is connected in some way.” So they will always be connected even if she dies. Mom then reminds him of when she cleaned up his finger after he stuck it into the birdcage. “Who are you? !” Yamato asks. He becomes emotional knowing there is absolutely no way he would be able to see his mother again. But like Mom said before she died, they will always be connected. Yamato tries to wrap his head around the possibility that this really is his mother. She takes his hand in hers. Just then, Micchan is on a jog and sees them. The Zyuman4 head back to the treehouse. Uncle Mario tries to hide the photo of Yamato with his mother. They ask who she is and Micchan pops in to say it is Yamato’s girlfriend, telling them how he saw her and Yamato in the park. Uncle Mario decides to explain. The Zyuman4 realize this must be Bangurei’s work, so they ask Misao to take them to Yamato. 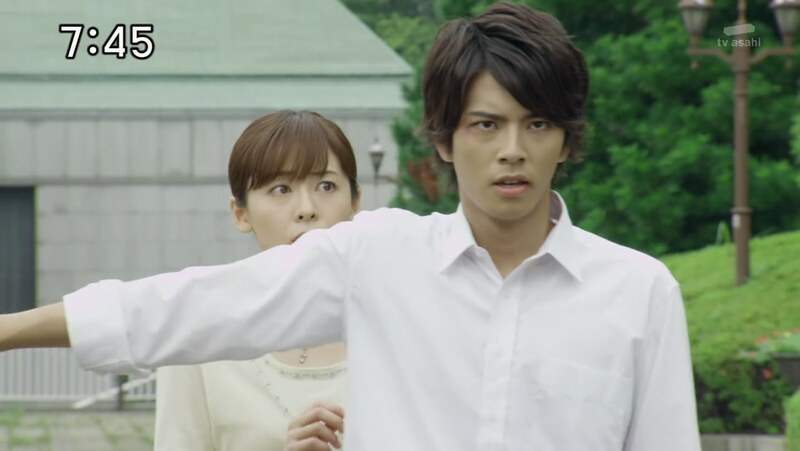 Yamato is still apprehensive as he walks in the park with his mother until they run into Bangurei. Bangurei wants to play. Yamato takes his Cube out to morph, but Bangurei zips over, knocks it out of his hand and smacks Yamato to the ground. Bangurei grabs Yamato’s mother just as the others arrive. Bangurei sends a blast their way to allow him to slice Mom in half. Yamato stumbles toward his mother and takes her into his arms. She wishes they could have talked more and is happy to see he has grown up well. She thanks him for the chance to have seen him again before she disappears. Yamato has to watch his mother die a second time. The others are enraged as Bangurei laughs and mocks Yamato. They morph and charge toward Bangurei, but he revives Hantaji after touching Tusk’s head. They realize Bangurei is reviving these dead things from people’s memories. That worries Cubaru, but Ginis is amused. 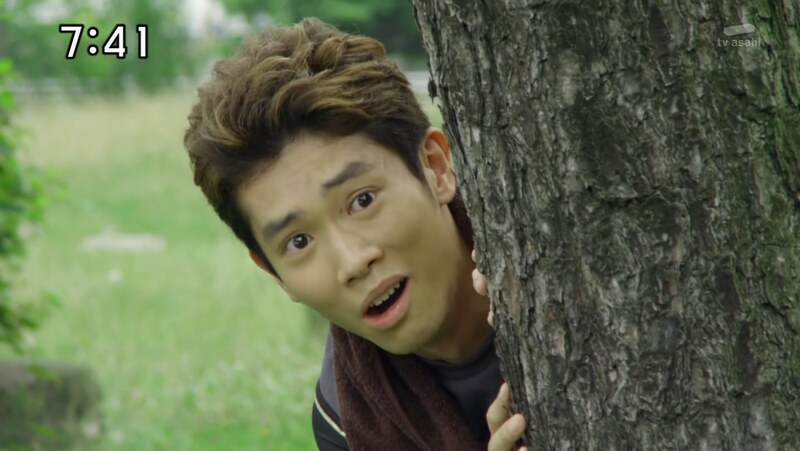 Bangurei laughs at the Zyuohgers getting beaten by a mere memory. But Yamato stands and says it’s not just a memory. It’s his precious memories. It’s because he’s kept that memory with him all this time that he was able to see his mother again. As long as he remembers, he and his mother will always be connected and Bangurei can’t do anything about it. Yamato picks his Cube up, morphs and takes on Bangurei. A fired up Yamato is able to take it right to Bangurei while the others finish off Hantaji. Bangurei acknowledges Yamato’s skill and asks for his name before reading Sela’s memories and leaving. Trumpus and Amigard pop up one more time and the Zyuohgers hop into Wild Tousai King to take care of them. Later that evening at the treehouse, the others talk about Yamato not being too open about his family and now knowing why. 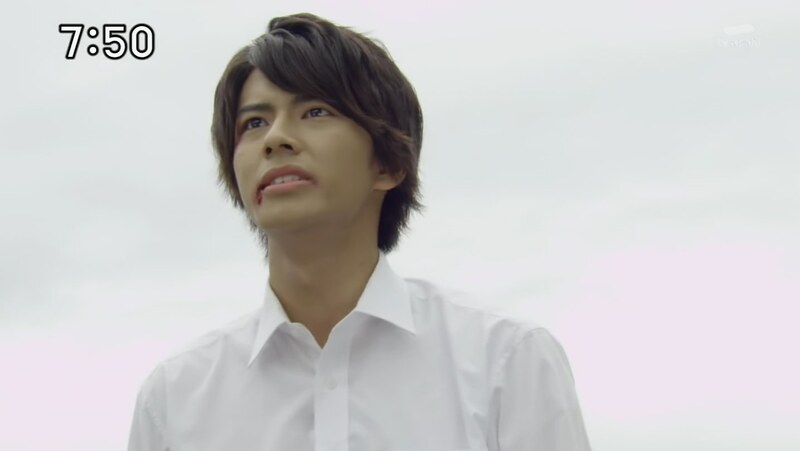 Misao is sad that he was inconsiderate about Yamato’s situation, even thinking he was dating his mom. Leo thinks he’s being annoying and says so to his face. Amu, however, wonders if it’s more than just Yamato’s mom. 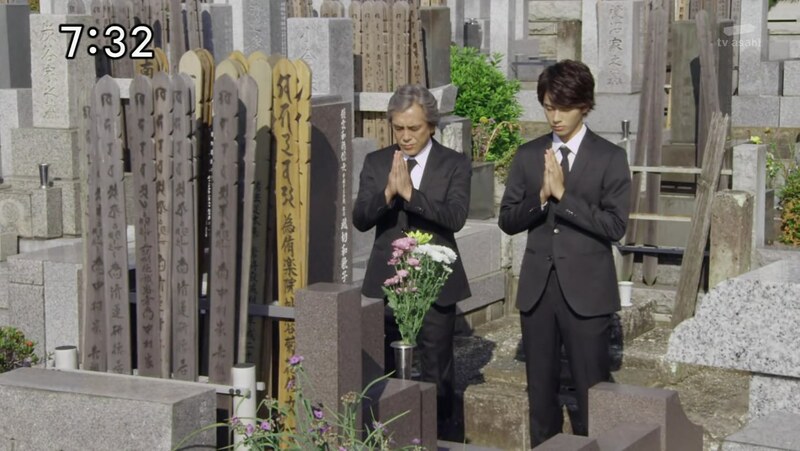 Yamato visits his mother’s grave one more time. “It’s okay, because we’ll always be connected,” he says. Yamato sees a bouquet of flowers left at her grave before leaving. I definitely enjoyed this episode. Lots of great stuff. First, I feel like they did really well with Yamato and his mother. We finally get one big piece of his past and learn about, at the very least, his mother and where she is now. I’ve said how Yamato is very likeable and Masaki Nakao is very charming. So it’s been easy to connect! (oho!) to Yamato and feel for him, especially when it comes to his parents. There’ve been small scenes mostly between Yamato and Uncle Mario that set up this episode nicely. Yamato seeing his mother again like that actually meant something. That is in contrast to (thinking about dead/undead mothers) Ninninger. The Returns movie is still fresh in my mind, so I can’t help but remember how little I cared about Takaharu and Fuuka’s mom popping up. Here, the episode worked on pretty much every level, but most especially with Yamato’s character. The story here just fit with how we’ve come to know him over 24 episodes and it was great. You pair that with the short, but emotional and rough scene of people “reuniting” with their dead loved ones. Like the grandma thinking her dead husband has come to take her with him. Or the mother who is in tears seeing her dead daughter again. How horrifyingly sad. Interestingly enough, like I’ve been mentioning all season, Zyuohger has had a pretty high death toll. Definitely more noticeable than other seasons. And in more comparisons, with this short scene and really, this episode, Zyuohger has dealt with death much better than Ghost has done all of its season. Hmm. AND! They also teased something being up with Yamato’s father as well. Bangurei/Bangray/Banglay/バングレイ has been great so far. Interesting to learn that there’s definitely some mystery with him yet. But it was also interesting to see how he fits in perfectly with Ginis’ merciless and cold-blooded Blood Game. The manifesting of memories, basically raising people from the dead, just to torture them is so sadistic and perverse, don’t you think? And it definitely fits in well with The Most Dangerous Blood Game. And not only that, we learn Cubaru has some secrets of his own. Definitely lots of things to like and enjoy this episode. One of my faves of the season so far. 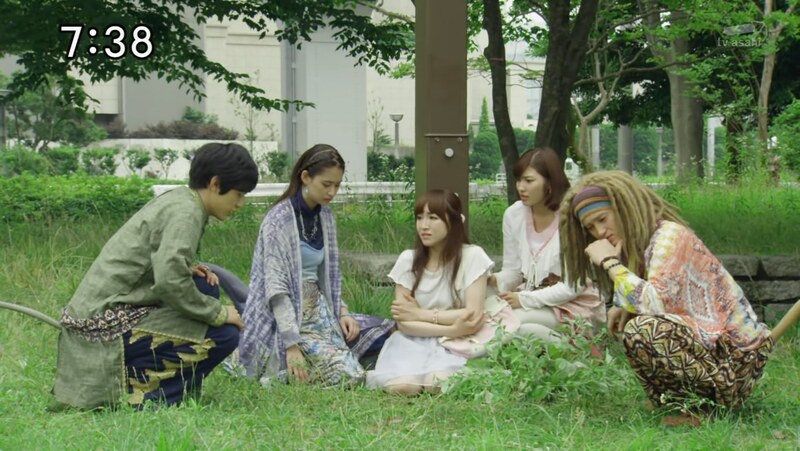 ← Recap: Kamen Rider Ghost, Episode 42 – Astonishment! The Truth About Sennin! How do you feel about Bunglay compare to Mangetsu? Interestingly enough, I “like” Bunglay more. He’s ruthless and evil, but Mangetsu was disgusting, horrible, abusive. Not even “love to hate.” Just horrible. And worse, poorly written which affected Ariake no Kata who was had been awesome up until that point.